Grew up playing Pokemon, now I write about what I play. The highly anticipated DLC for the smash hit "The Last Of Us" has finally got a release date. Naughty Dog, the developer of the smash hit "The Last Of Us", has set a release date for the highly anticipated single player DLC. Naughty Dog announced a single player DLC back in November. Fans will be able to get their hands on the DLC February 14th or Valentine's Day. What better way to spend the holiday then trying to survive in a romantic post apocalyptic world. The DLC is titled "Left Behind" and will take place before Joel met Ellie. 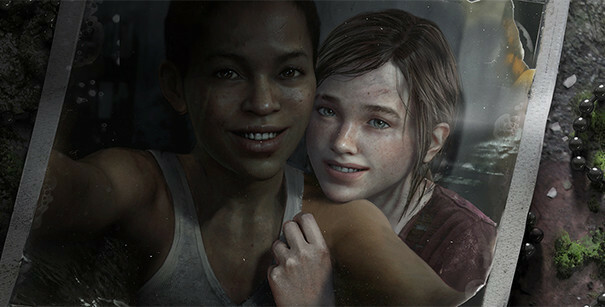 The DLC will focus on Ellie and her best friend Riley when they sneak out of the military boarding school they are attending. Players got to play as Ellie in "The Last Of Us" for a brief amount of time but this DLC will reveal more about the popular character. The DLC will be available on the Playstation store for $14.99 on February 14th. Be sure to check it out.